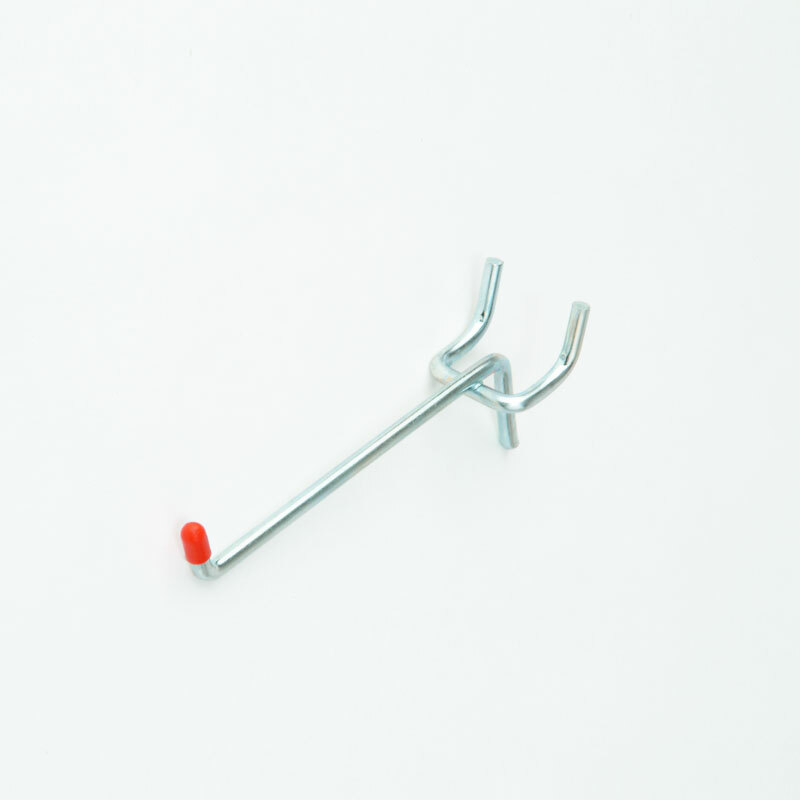 Light duty 50mm single pegboard hooks are made from hard wearing galvanised steel. Perfect for displaying a variety of retail products. Especially made for use on 19mm pegboards, designed to be position in seconds and allows you to save valuable space on the shop floor. HIGH QUALITY - Made from 3.25mm diameter mild steel wire. Hard-wearing and long-lasting. Light duty hooks suit 19mm board. Manufactured from 3.25mm diameter mild steel wire. Bagged in 100's. Zinc plated.